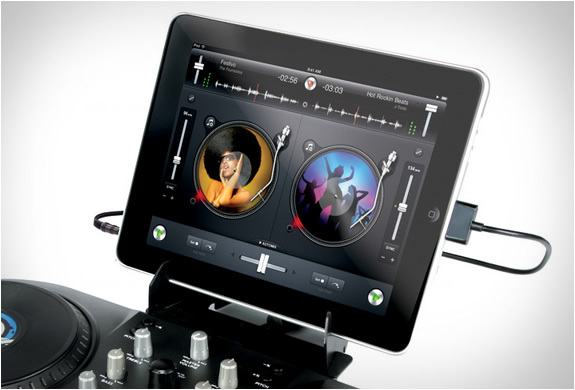 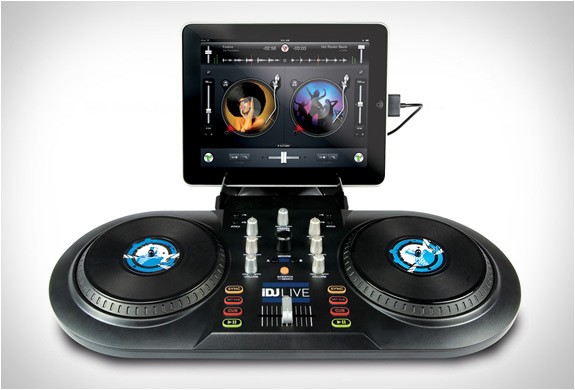 You can now unleash your inner superstar DJ, with the Numark iDJ Live for Ipad, iPhone and iPod, there´s no easier way to become a DJ. 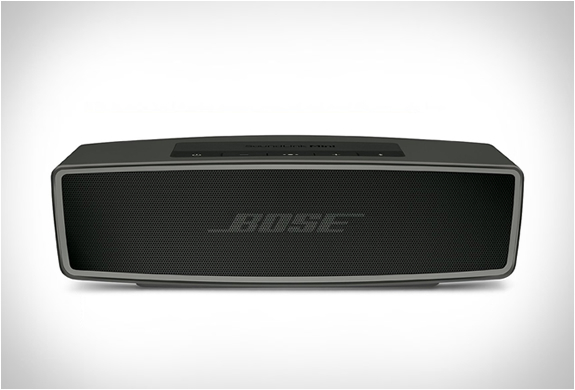 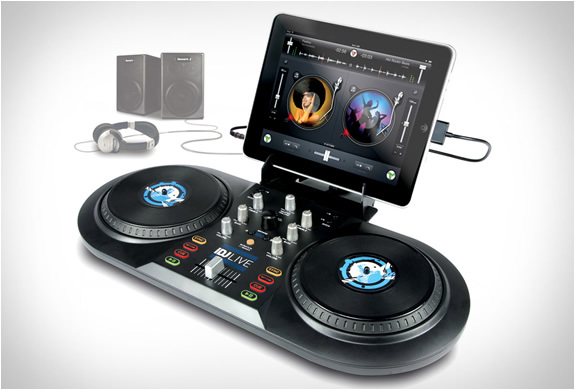 With ease-of-use and innovative multi-touch mixing features, this is a must have accessory if you have never tried DJing before. 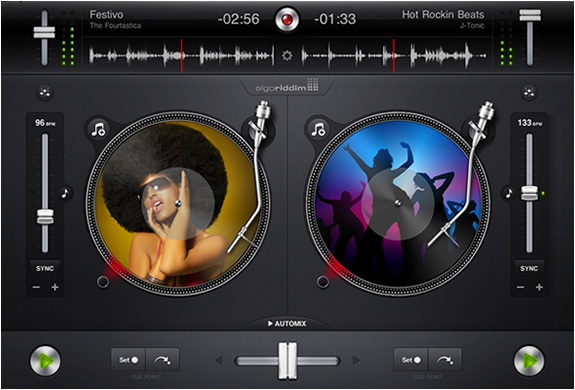 You can mix your iPad music library on a hyper-realistic turntable interface app, using two large performance platters and a central mixer section with a crossfader, buttons and knobs. 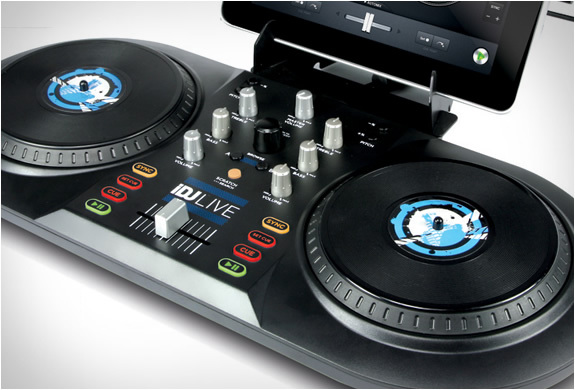 iDJ Live comes complete with iPad stand and custom headhpone/speaker audio cable so connecting to your sound system of choice is easy.